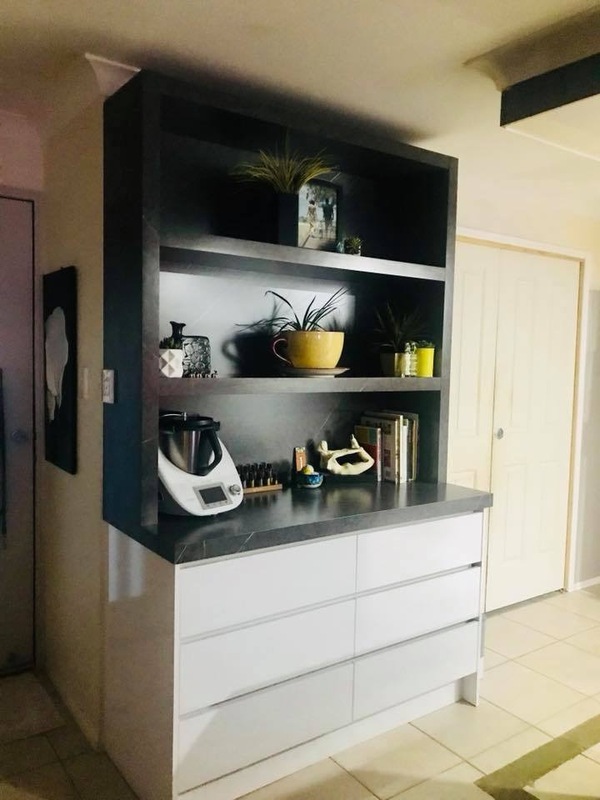 Craftsmen Kitchens are a family owned business based in Gympie QLD. 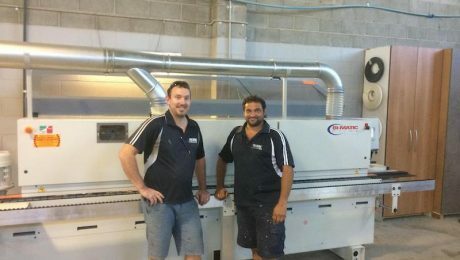 Recently Chris & Nathan decided it was time to upgrade their edgebander & panel saw and chose to invest with Tuckwell Machinery. 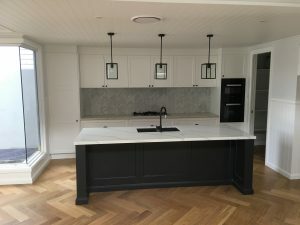 Craftsmen Kitchens have been in business for over 30 years now and have developed a strong reputation for the quality of work they produce and their commitment to providing the best result for their clients. 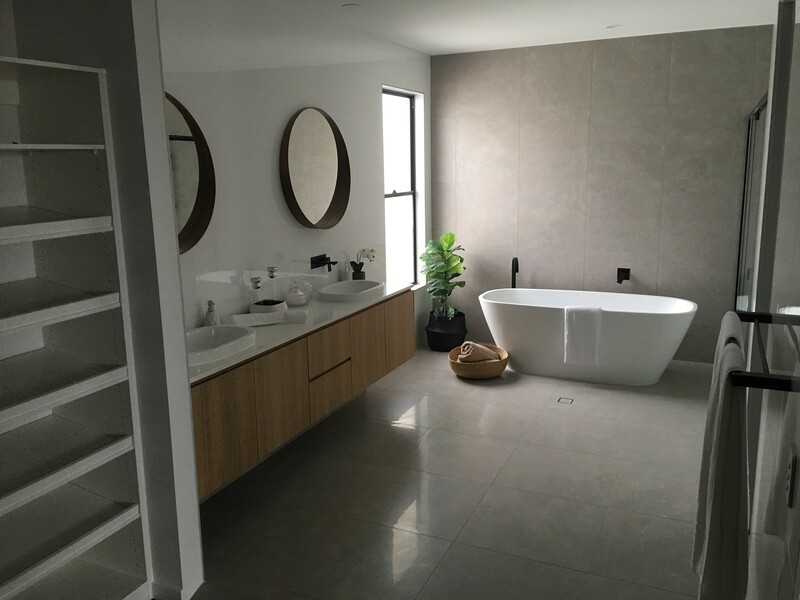 Chris & Nathan have worked with us for a number of years and were kind enough to pass this on after finalisation of the installation. 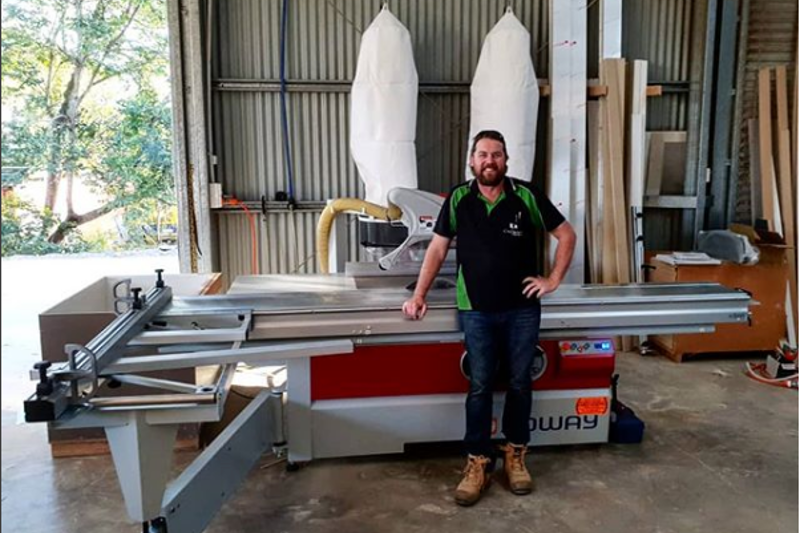 “We are very happy with our new machinery and we highly recommend Tuckwell Machinery, the Bi-Matic Prima 7.3RA Plus Edgebander & Joway P32 Panel Saw. 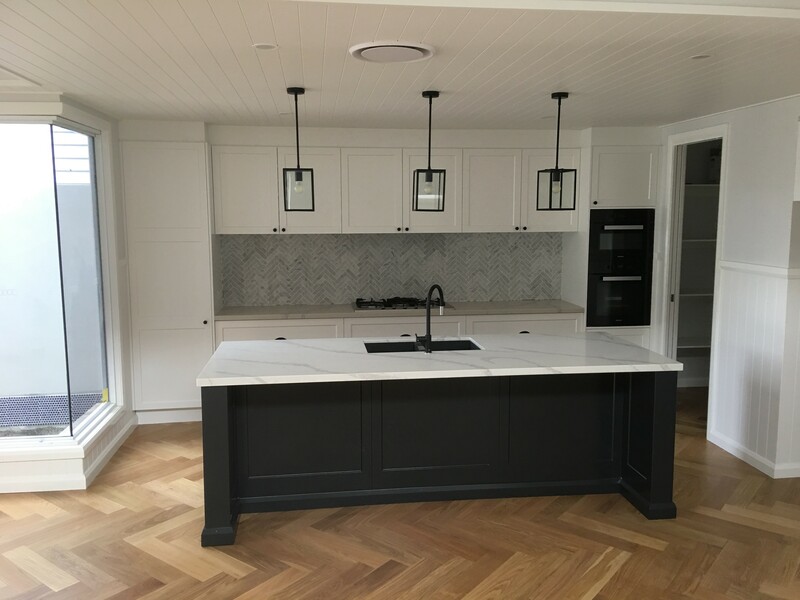 We would like to take the opportunity to thank Craftsmen Kitchens for choosing Tuckwell Machinery, it is greatly appreciated & we look forward to continuing this relationship for years to come! 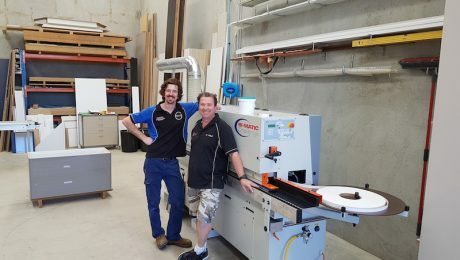 Blaze Cabinets QLD are based in Sumner Park Queensland & have just taken delivery of the all new Bi-Matic Prima Plus 7.3RA Hotmelt Edgebander from Tuckwell Machinery. 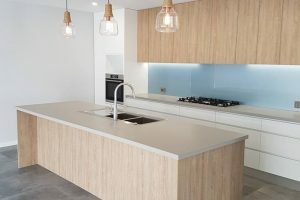 Blaze Cabinets scope of work includes kitchens, shop & office fitouts, joinery and even custom furniture amongst other things. 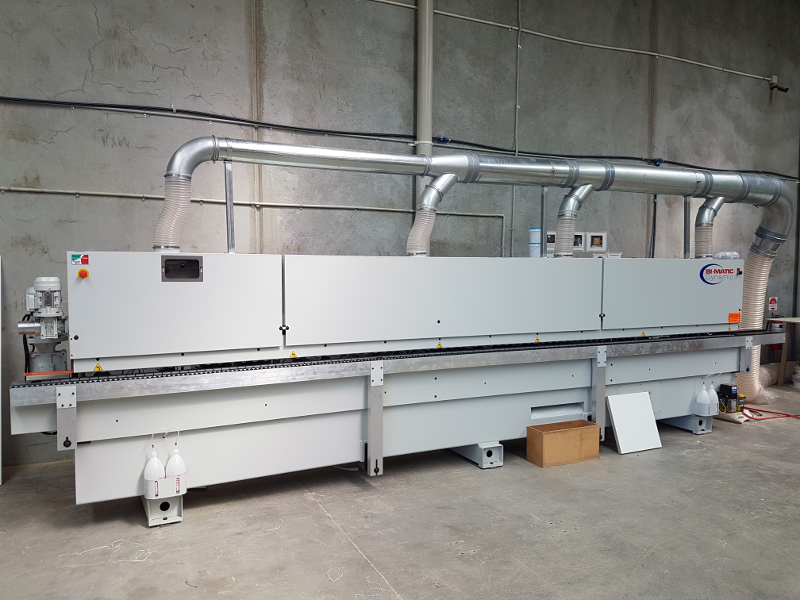 As the workload increased a need for a new edgebander presented itself. 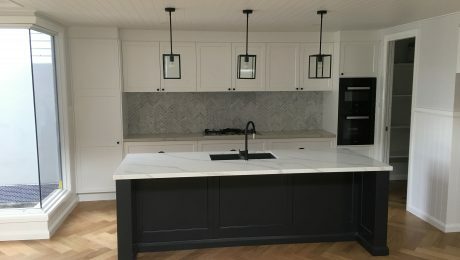 “We have worked with Tuckwell Machinery for a number of years and previously purchased a Casolin Panel Saw from them which we were very happy with. 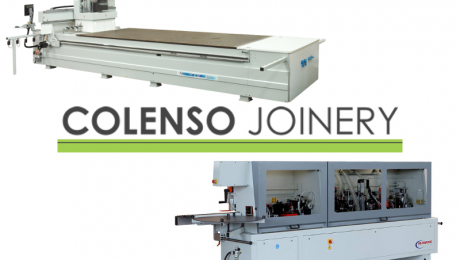 The service they have provided us meant that when it was time to upgrade our edgebander we knew where to go. Thank you for your continued support guys, we look forward to working with you for many years! 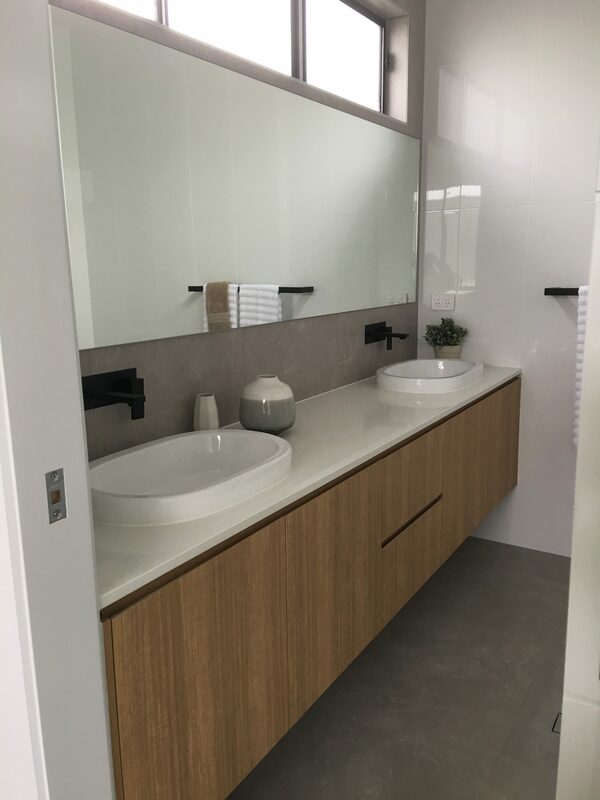 Redland City Cabinetmaking was established over 10 years ago & produces varied & very high quality work. Over this time, Craig has gone forward in leaps and bounds, taking on more and more large & intricate projects. 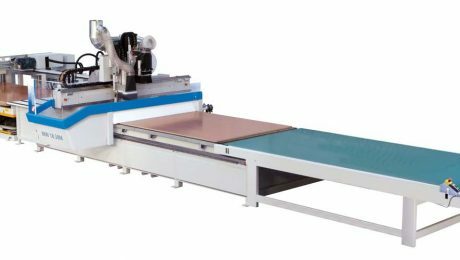 As a result a need arose for a larger edgebander that would cut down on processing times and finishing times to provide the high quality work that he was known for. The nature of Craig’s work meant that the machine had to be versatile, productive & of course, reliable. 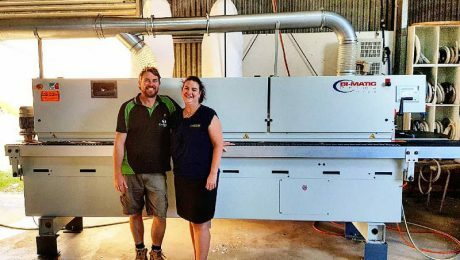 “I have dealt with the guys at Tuckwell Machinery for many years, they have always been there when I have needed them. 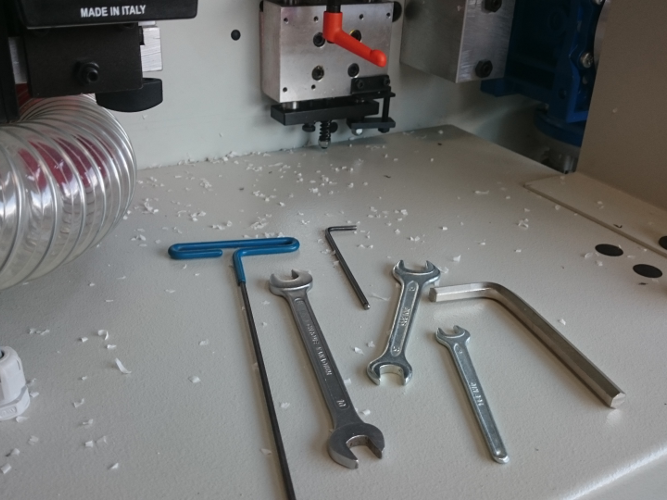 I purchased my first lot of machines from another supplier who wasn’t so keen on after sales service. 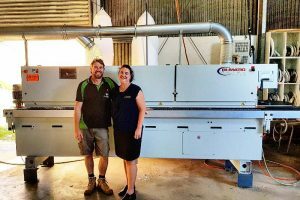 This was when I got in touch with Tuckwell Machinery, the service they have provided over the years has been excellent. 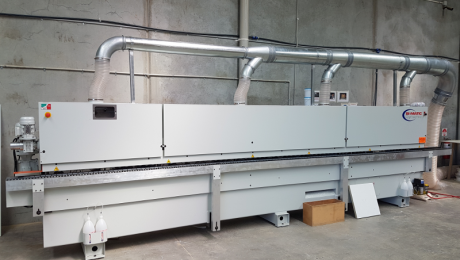 I purchased a used CNC from them a few years back and everything went smoothly, this changed the dynamic of our business but eventually created a bottleneck further down the line at the edgebander. When it come time to upgrade, I went straight to the guys at Tuckwell’s to see what they could offer me. In the end I chose to purchase the Bi-Matic Dynamic 8.5RA TWO. 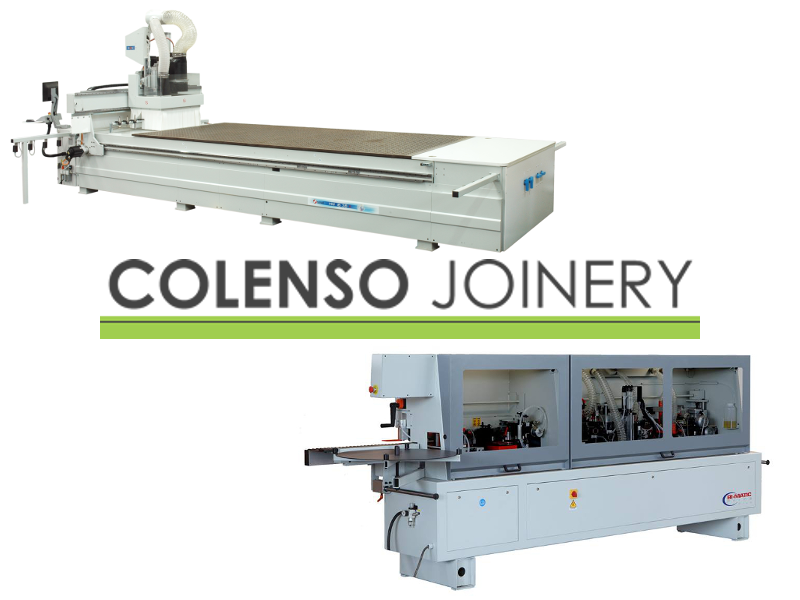 Colenso Joinery are a highly skilled family owned company based in Creastmead QLD. 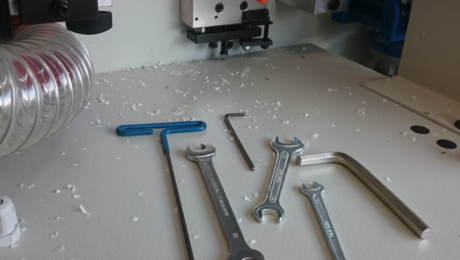 Recently they decided to embark on a new project and a need for new machinery arose. 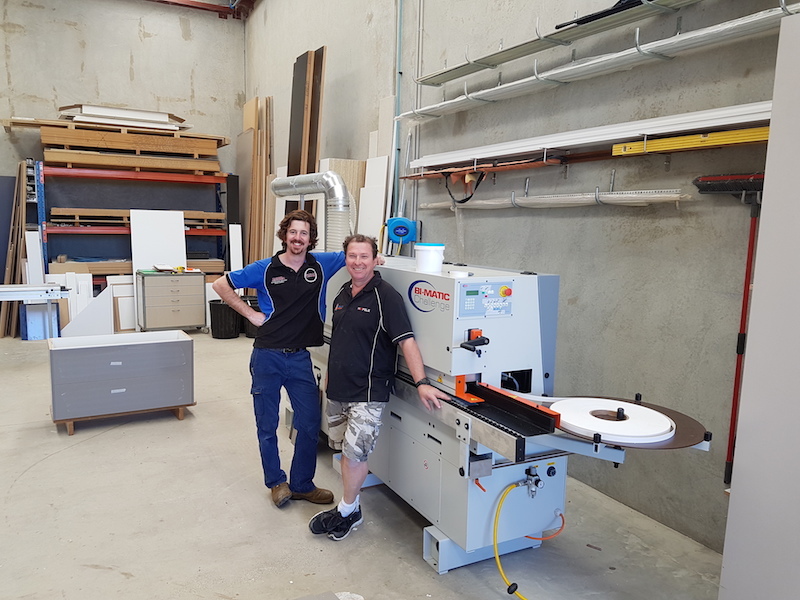 Andy already had a long association with Tuckwell Machinery and decided to check out our Masterwood & Bi-Matic machines and after coming for a demonstration the decision was made to purchase a Masterwood 1225K CNC & Bi-Matic Prima Plus 7.3RA Edgebander. When asked about the experience, Andy had this to say. 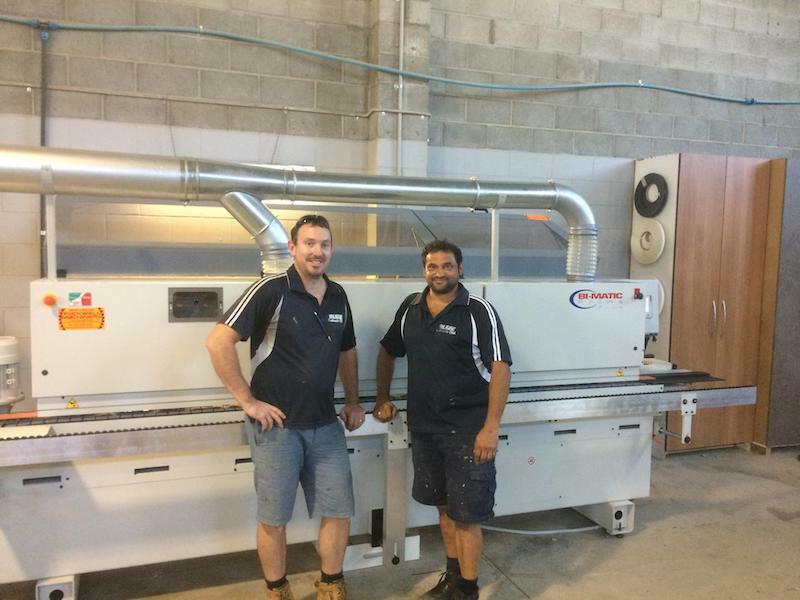 “I just wanted to say what a pleasure it has been dealing with Tuckwell Machinery during the purchase, delivery and installation of our new Masterwood MW1225K CNC Machine and Bi-Matic Prima Plus 7.3RA Hotmelt Edgebander. 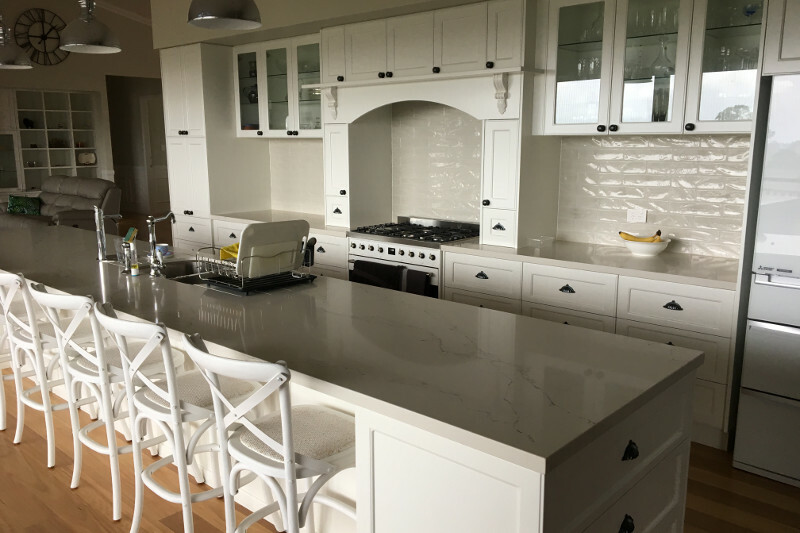 The entire process has been seamless and a credit to your company and staff. The timelines we had were tight but you stuck to the dates and had us up and going which made my life easier with placement of my staff and commitments to upcoming works. We are blown away by the speed of the new Masterwood CNC compared to our previous machines. The after sales service to ensure any little niggles after install didn’t get blown into major repairs was another blessing in the process. Our company is now up and going and we attribute a lot of that to your association with both our new machines. We would be happy to be used for any potential buyers to view our machines and discuss this entire process. It is refreshing to know there are still good family owned businesses that are competitive with the bigger companies in regards to pricing, and leaves their opposition for dead with service. Check out their website: www.colensojoinery.com.au for more information. Kitchens N Cabinets are based in Yatala QLD and have gone from strength to strength since their formation. Jeff come to us when he started out and purchased an edgebander to get him started, a short time later he was back to buy a CNC machine as his workload had grown. 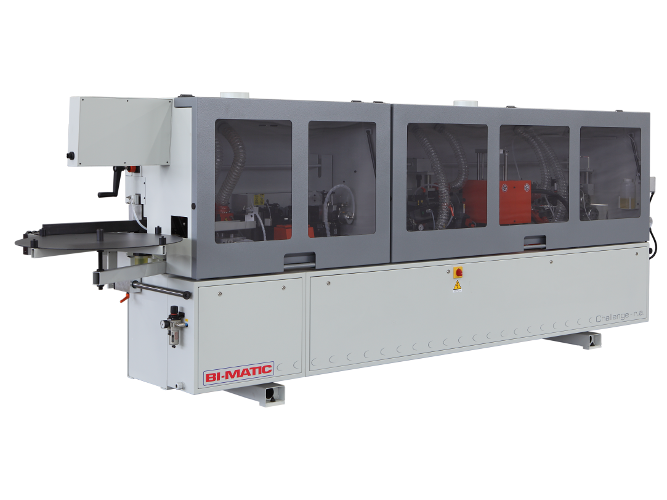 Nearly 12 months ago, the need arose for a bigger and faster edgebander so Jeff decided to purchase the Bi-Matic Challenge 6.3a Hotmelt Edgebander from Tuckwell Machinery. Check out Jeff’s website: www.kncqueensland.com.au for more information on the services he can offer! Advance Kitchens are based on the sunny Sunshine Coast in Queensland & have just taken delivery of the all new Bi-Matic Challenge 6.3a Hotmelt Edgebander from Tuckwell Machinery. 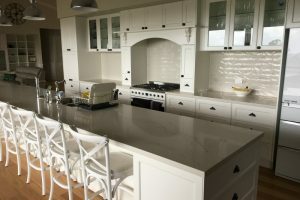 Check out their website: www.advancekitchens.com.au for more information. 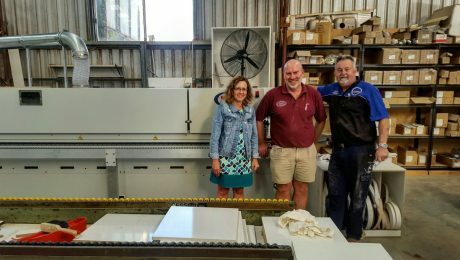 Ultimate Cabinets based in Redland Bay, Queensland have just taken delivery of the all new Bi-Matic Challenge 4.3 Hotmelt Edgebander from Tuckwell Machinery. Geoff & Kerry have been customers of Tuckwell Machinery for many years which started through servicing their exisiting machines, when the time come to update their Panel Saw the choice was made to purchase a Casolin Astra 400 5 CNC from Tuckwell Machinery. 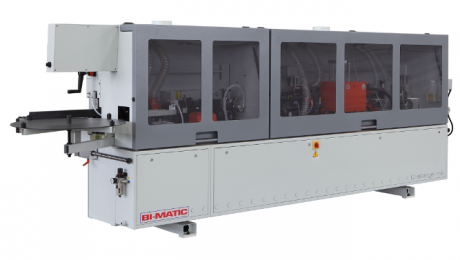 Two years on and an increase in work load meant that a larger edgebander was needed, the Bi-Matic Challenge 4.3 was chosen as the next step. Thank you for your continued support Geoff & Kerry, we look forward to working with you now and in to the future! Check out their website: www.ultimatecabinets.net.au for more information.